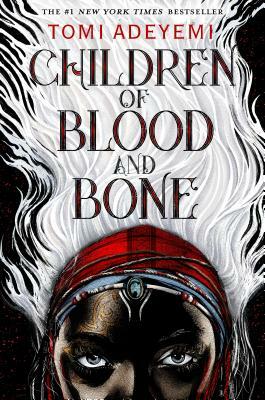 Children of Blood and Bone, the first book in Tomi’s Legacy of Orisha young adult fantasy trilogy, introduces readers to the West Africa-reminiscent kingdom and its once common, now persecuted minority magic wielders, the divîners. Tomi interweaves the point of view of divîner Zélie Adebola, who is both eager and fearful to embrace her heritage, and fanatically anti-maji King Saran’s offspring, Princess Amari who questions the established narrative, and Crown Prince Inan, torn between fulfilling his father’s expectations and determining his own values. At times as graphically brutal as it is compelling, this stellar new fantasy will have an enduring legacy. Highly recommended. Tomi Adeyemi is a Nigerian-American writer and creative writing coach based in San Diego, California. After graduating Harvard University with an honors degree in English literature, she studied West African mythology and culture in Salvador, Brazil. She is the author of Children of Blood and Bone.